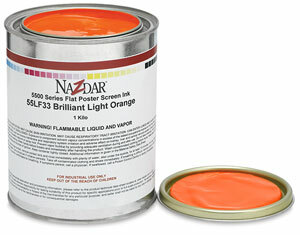 For screen printing on cardboard and paper stock. Brilliant, opaque colors dry to matte finish. Overprints with no "pick-up." Use any mesh, screen, stencil. Solvent-based. Air-dry in 20 to 30 minutes, jet-dry in seconds. 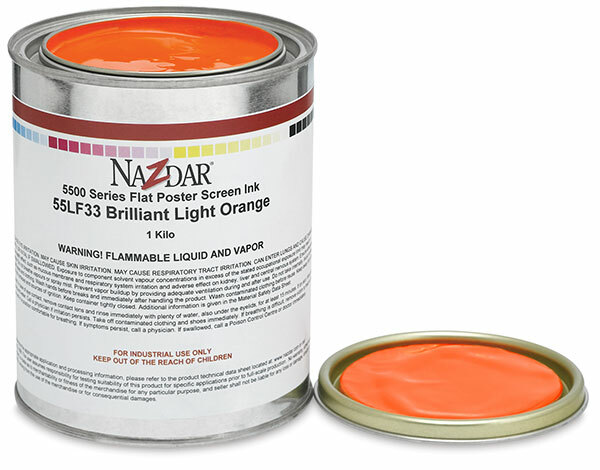 ® Nazdar is a registered trademark.